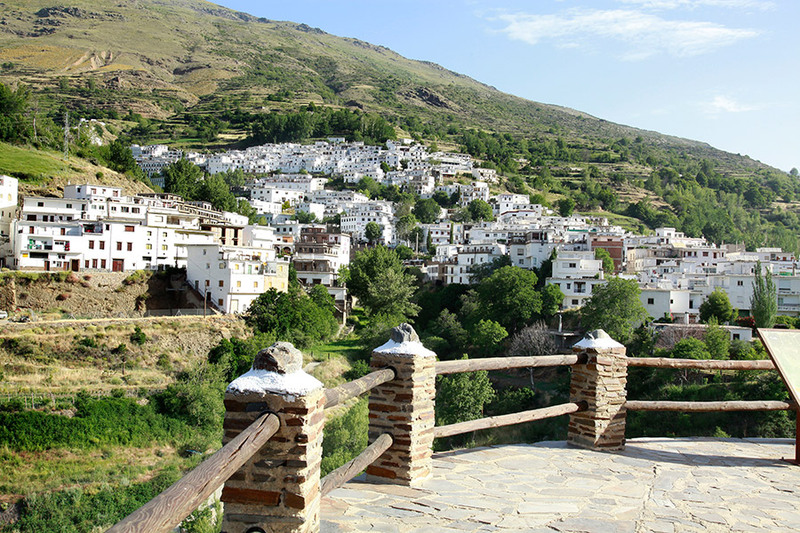 Antonio Alvarez Jamones, S.L. 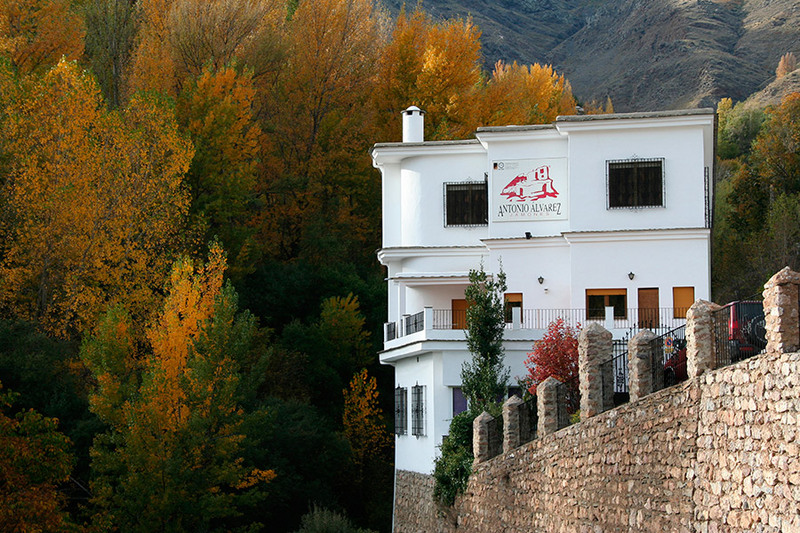 is a family business dedicated to the production of ham located in the heart of the region of the Alpujarra, in the town of Trevélez province of Granada. 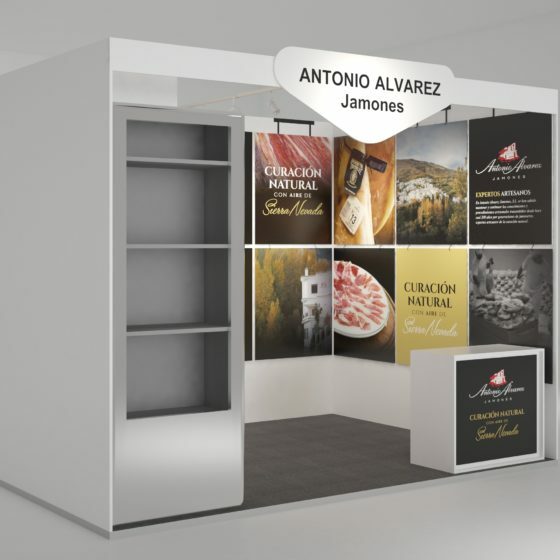 It has its origin in Antonio Alvarez, father of the current partners, in the year 1960 he founded his small company of healing and commercialization of hams from Trevélez. Then they elaborated about 150 pieces / year, today we exceed 150.000. 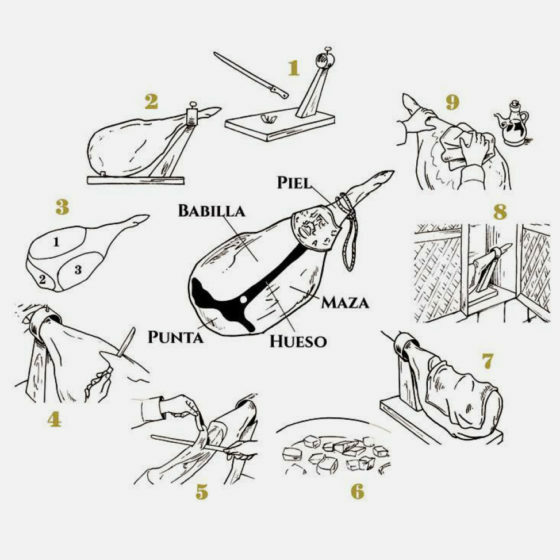 Our quality policy is very clear and defined, it focuses on offering our customers a service and a product of excellence, integrating a modern and effective management with the traditional processes of the healing of Jamón de Trevélez. We are interproveedores of Mercadona. RD993 / 2014 official veterinary certification for export. 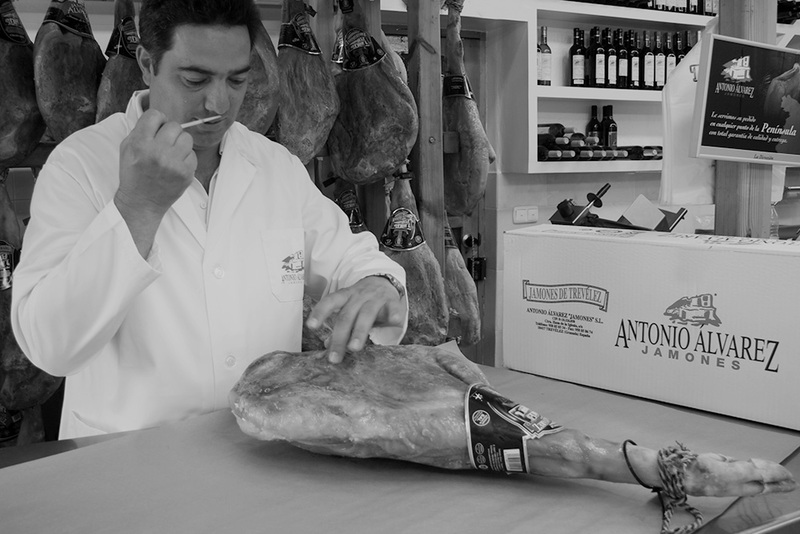 In Antonio Alvarez Jamones, S.L. 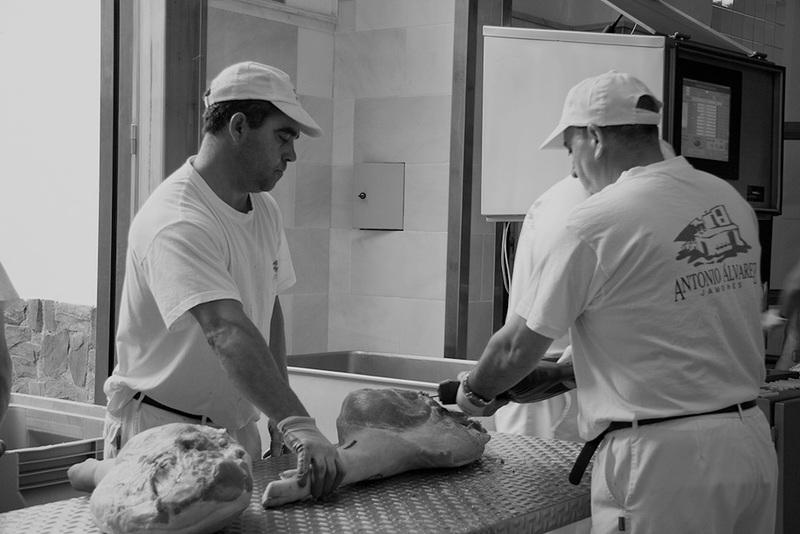 they have been able to maintain and continue the knowledge and craft procedures transmitted for almost 200 years by generations of ham holders, skilled artisans of natural healing. 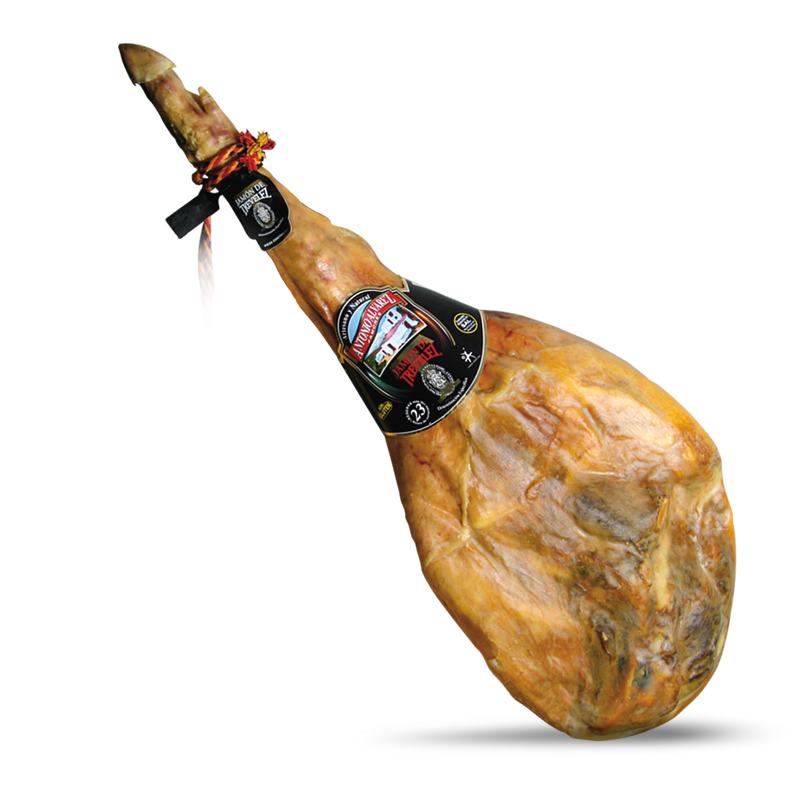 Thus, as has always been the case, we make a ham in totally natural conditions, without artificial climate control, without adding another ingredient to the meat that the oldest natural preservative used by mankind: sea salt, giving each piece the right content and time of slow and slow healing that requires, to the air of Trevélez. 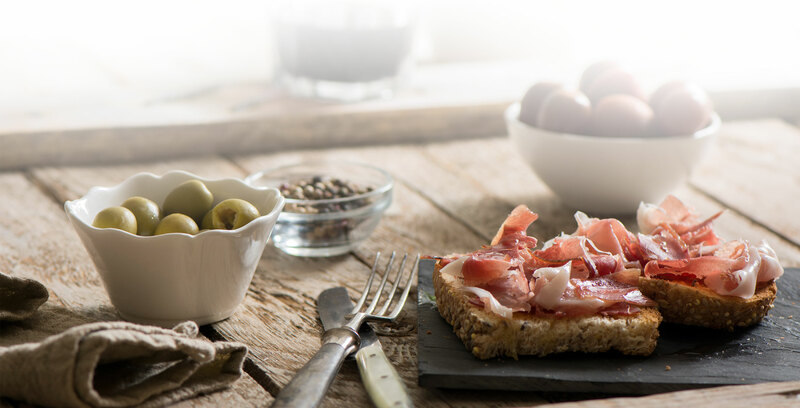 In this way, we obtain a natural ham and artisan, without added preservatives, as you demand and we guarantee you. 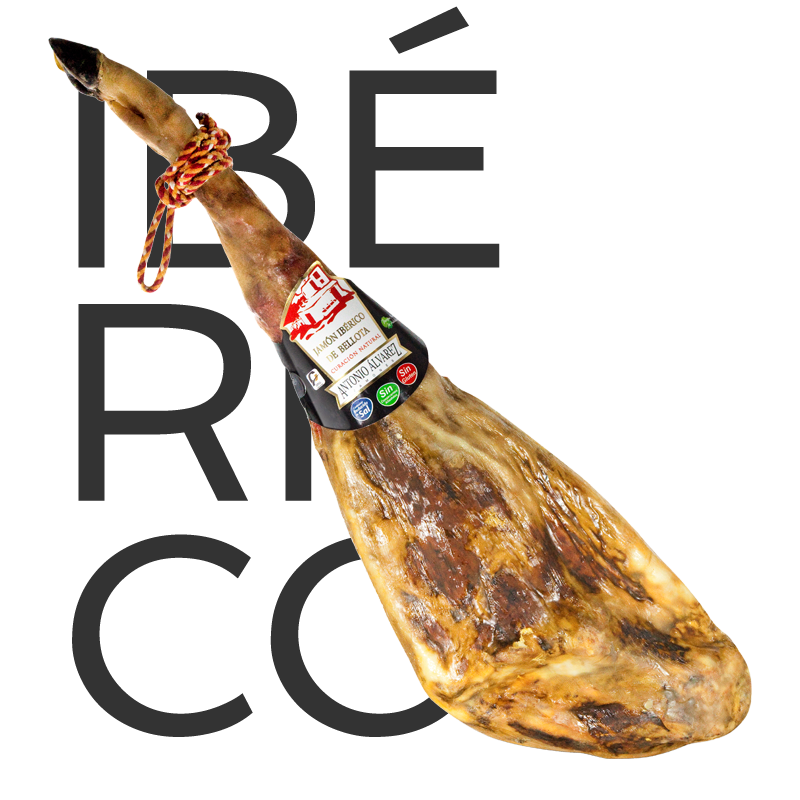 The whole process of drying, ripening and sweating of our ham is carried out in totally natural conditions. This traditional method of healing is currently practiced by very few companies. 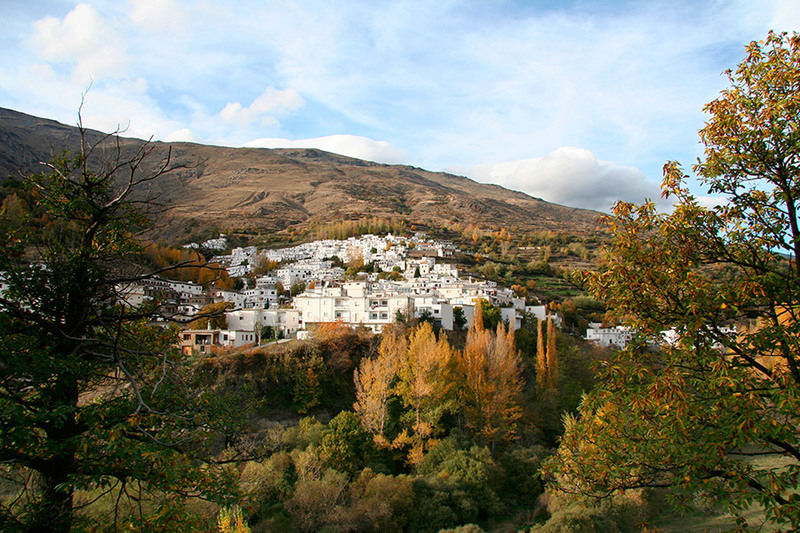 In Antonio Alvarez, we continue doing it, we carry out the complete process in Trevélez, village located in the skirt of the Mulhacén at 1,700 meters of altitude in the heart of the Natural Park of Sierra Nevada, area declared Reserve of the Biosfra by UNESCO, where we have five centers with architectural design and location within the town specifically designed to take advantage of the natural conditions of each season of the year. 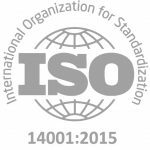 The continuous improvement in the management and environmental behavior of the company as well as the quality and food safety of the product we manufacture have always been a fixed objective for us. La seguridad alimentaria ante todo. 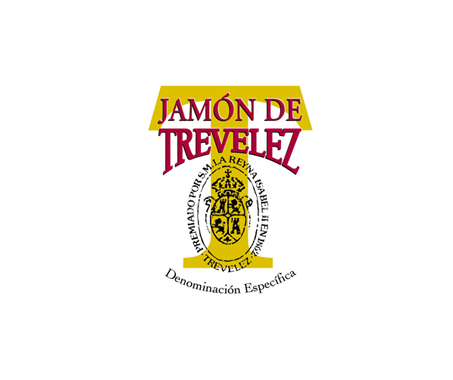 To offer our clients a service and a product of excellence, integrating a management, modern, effective and respectful with the environment and with the traditional healing processes of the Jamón de Trevélez. preservative than the oldest natural used by mankind: Sea salt. 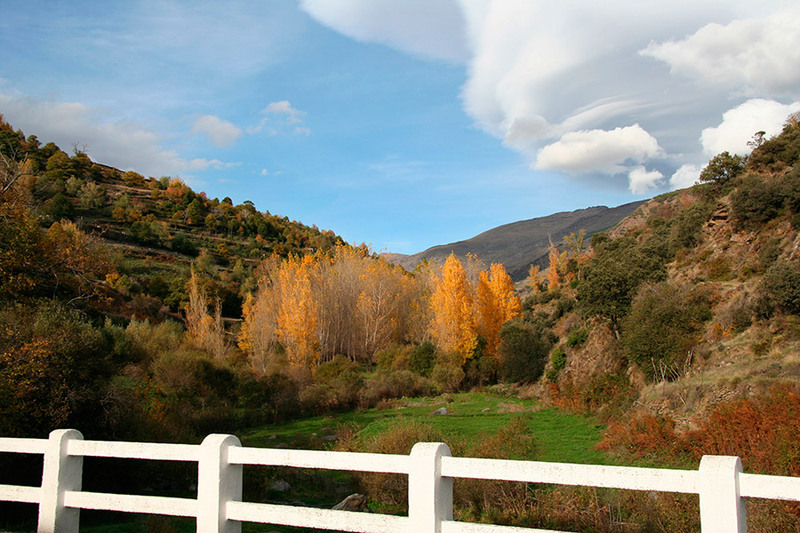 taking into account the environment where our activity takes place, the Sierra Nevada natural park. 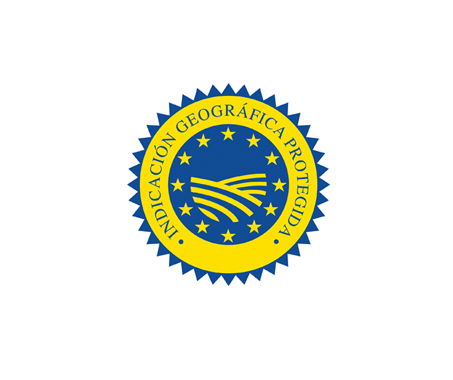 their occurrence, thereby guaranteeing the safety and legality of our products. This system remains constantly updated and validated. 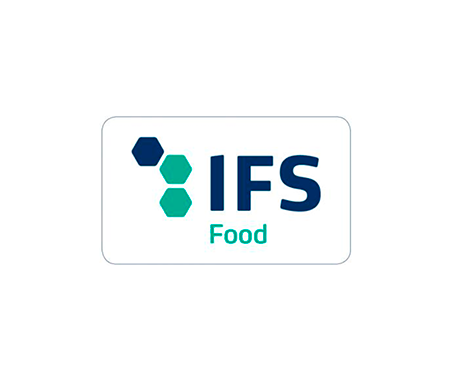 suppliers through an established sampling and analysis system. which allows the product to be tracked along the food chain. with special attention to those who refer to food security and to the protection of the environment. behavior and word; fulfilling commitments and obligations to the letter, without deceit or voluntary delays. Creating a respectful work environment that guarantees equal opportunities, diversity and non-discrimination. Promoting communication and participation of all. Guaranteeing respect for the rights of people. Promoting their training and environmental awareness. and services as well as with our clients, taking into account the requirements they request. Establishing and fulfilling marketing objectives with our clients. Contributing to the development of the social environment that surrounds us. 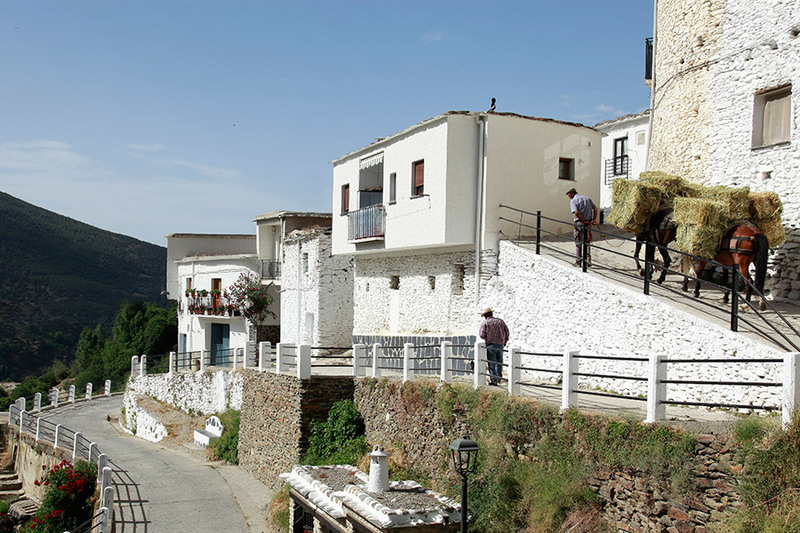 Respecting the identity of the locality. Actively participating in social initiatives. 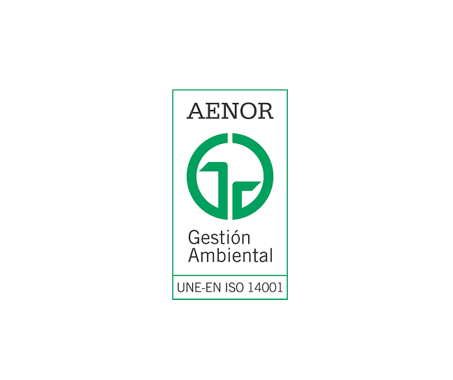 Antonio Álvarez Jamones SL guarantees the correct environmental performance of the activities carried out in all the work centers and compliance with all the requirements of the reference standard ISO 14.001: 2015. 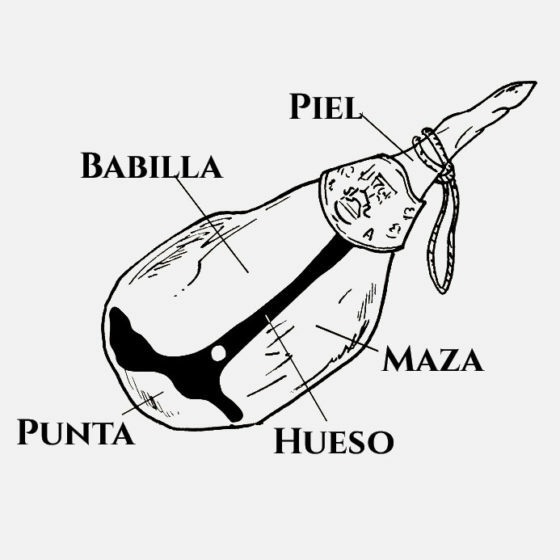 The titular entity of the Domain (s): http: // www. 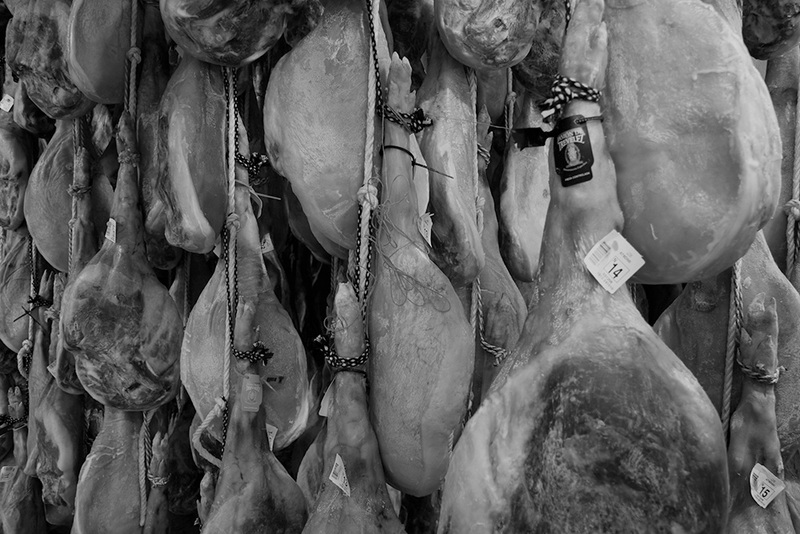 antonioalvarezjamones.com / (hereinafter the Web) is the commercial entity ANTONIO ALVAREZ HAMS S. L. , with address at PISTA DE LA IGLESIA 12 , 18 417 , Trevélez (Granada) with CIF nº : B18326850 . 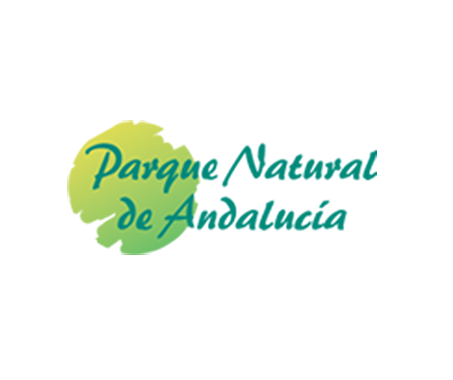 ANTONIO ALVAREZ JAMONES S. L. , Informs that the data provided and the treatment of the same are documented in the Activity Registers available to the company. We have adopted all the technical and organizational measures necessary to guarantee the security and integrity of the personal data that we treat , as well as to avoid its loss, alteration and / or access by unauthorized third parties. However, you should be aware that security measures on the Internet are not impregnable. All the data requested through the Website marked as mandatory (*) are necessary for the provision of an optimal service to the user. In the event that all the data are not available, the Provider does not guarantee that the information and services provided will be completely adjusted to your needs. 1. Remission of commercial advertising communications by e-mail, SMS, or any other electronic or physical means, present or future, that enables commercial communication. These commercial communications will be related to products or services that we offer, now or in the future, as well as by our collaborators. In this case, third parties will never have access to personal data. 2. Conduct statistical studies. In this case system or anonymisation data they will be used. 3. Process orders, requests or any type of request that is made by the user through any of the contact forms made available to the user on the website). Your personal data will be blocked when they are no longer necessary for the purpose for which they were collected, leaving only the Judges and Tribunals, the Public Prosecutor and the competent Administrations, in particular the data protection, for the attention of the possible responsibilities arising from the treatment, during the prescription period of these. Once the aforementioned deadline has passed, it will be destroyed. ANTONIO ALVAREZ JAMONES S.L. informs and expressly guarantees users that their personal data will not be transferred in any case to third parties. Any exception to this rule will require your prior express, informed and unambiguous consent. RIGHTS THAT ARE ATTRIBUTED IN THE FIELD OF DATA PROTECTION. Modification of your information: You have the right to rectify your incorrect or incomplete personal information. Access to data and portability: You have access at all times to the information you have given us. You may request a copy of this commonly used information, and ask us to forward this information to another service provider (to the extent that it is technically possible). Revocation of consent. You can revoke your consent at any time, sending us a communication in this regard. This revocation does not affect the validity of the processing of your data made prior to it. iv) you have opposed the treatment. Opposition to the treatment of data . You have the right to have your data not treated for specific purposes. In that case, we will stop treating your personal data for such purposes unless we can demonstrate that there are justified and convincing reasons to perform such treatment or unless such treatment is necessary for the initiation, exercise or defense of legal actions. Exercise of these rights: To exercise these rights, you must send an express request, along with a copy of your ID or equivalent document , through the means set forth below. If the request made in the exercise of your rights, did not receive a response in time and form by us, or you will not find this satisfactory, we inform you that the competent control authority is the Spanish Agency for Data Protection. • ELECTRONIC MAIL addressed to the central@antonioalvarezjamones.com address with subject “Data Protection”. This shipment must be made from the email address included in the form / s. Otherwise, your data will not be shown, because your identity is not considered sufficiently proven. • MAIL: Aimed at ANTONIO ALVAREZ JAMONES address S. L. , Pista de la Iglesia 12 , 18 417 , Trevélez , (Granada). • CUSTOMER SERVICE TELEPHONE: 958858534 where the procedures defined for this purpose were indicated. 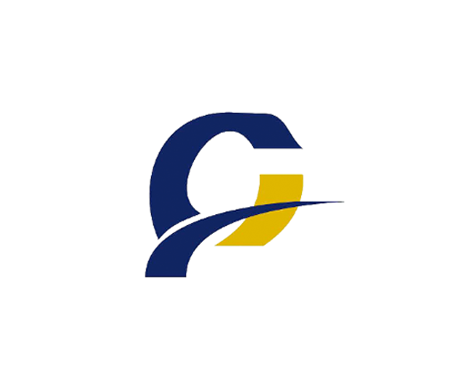 INFORMATION ON TRAFFIC DATA. IP ADDRESSES. The traffic data such as the name of the access provider, IP address, date and time of access, links from which you access and any other information of a similar or analogous nature that you may provide in your navigation through the Website, if collected, they will be treated anonymously and with the sole purpose of carrying out visits to our Website . A method of collecting additional information from your visits to our website is registering the IP address or protocol of your team. This IP protocol is a number that is automatically assigned to your system each time you browse. Any website that you access immediately detects the presence of your terminal by its IP address. When you access our page, your IP address is automatically stored. This collection is unique function, the development of statistics visits to our website designed to show the functioning of our service and enable us to improve day by day, the access point, etc. 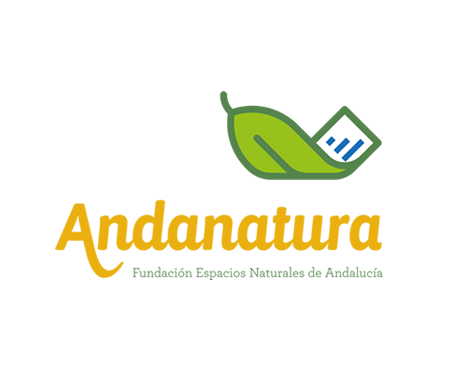 Irrespective of the provisions, ANTONIO ALVAREZ JAMONES S. L. may terminate, suspend or interrupt, at any time without notice, access to the contents of the page, with no possibility for the user to demand compensation.